You know I’m all about the completer piece, don’t you? I feel like I talk about it all the time, and hopefully, you all aren’t tired of it by now because it’s that important. The completer piece is that essential third piece in an outfit that takes it from so-so to stylish. And while it can be anything from a statement necklace to a fabulous pair of shoes, jackets are the quintessential completer piece. 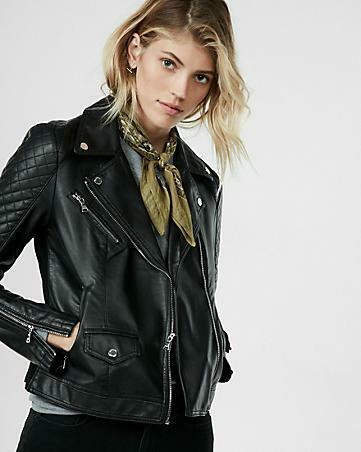 The great thing about a moto jacket is that it goes over virtually anything, and can update boring separates or a slightly dowdy dress better than almost anything. Not convinced? Here, lots of evidence for the moto-jacket-as-completer-piece concept, followed, of course, by a trio of cute options for every budget. 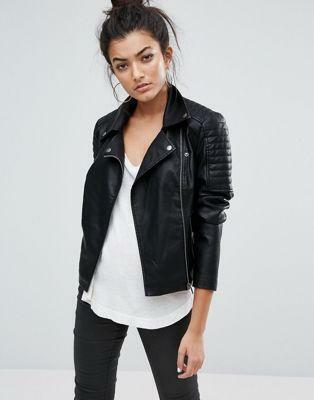 Now that you’ve seen all of these gorgeous outfit ideas featuring the moto jacket, check out these three great options. (Note: While the classic black leather version is the most popular, if you’re not a black leather kind of girl, or if your Color Code is Soft, choose a similar style in the subtle, beautiful suede color of your choice). 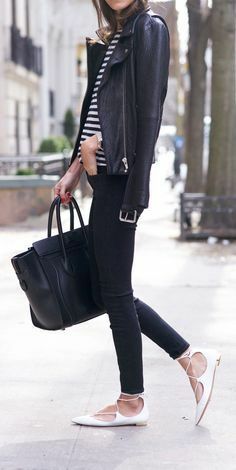 I hope you’re inspired to take your moto jacket for a spin in one of these adorable outfits, or try the same looks with another type of jacket (blazer? cardigan?). Happy outfitting!